This highchair is designed by Peter Opsvik, Norwegian designer who dedicated his life to different sitting solutions. Nomi is designed to provide your baby with a soft and cosy spot at the centre of the family. The raised height is ideal for ``talking``, playing, feeding and keeping good eye contact with your baby. Nomi highchair will fit your child from approx. 2 years and into the teenage years. 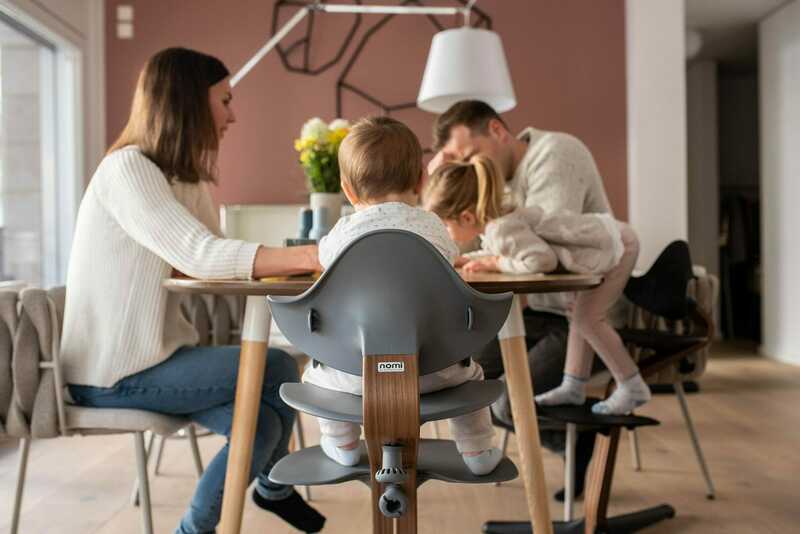 You can combine your Nomi Highchair with add-ons to customise it for your growing child - right from your baby's first day.